Signed in to my xbox one and got this message. Redeem on your console by 31/1/19. And spend within 90 days of redemption. Basically $7 to spend anywhere on the marketplace. 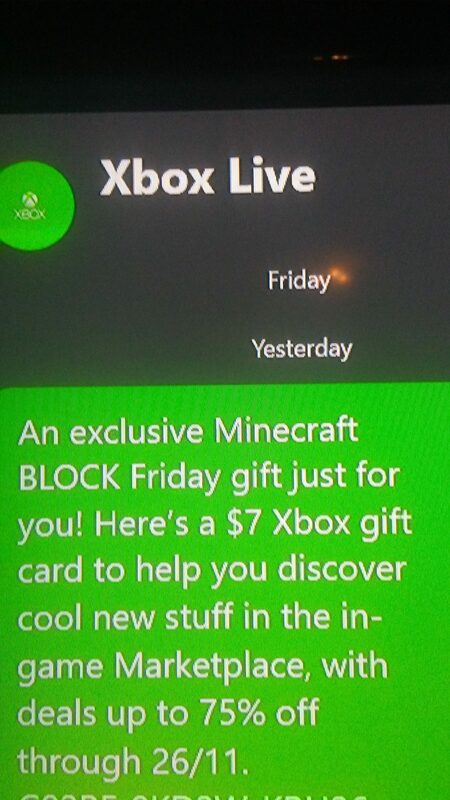 I have played minecraft but am not sure where this offer actually stems from. Cheers all! i didn't get anything like that..
probably because i never played minecraft.